Did you hear the news? Dora the Explorer Live is touring across Canada! You’ll find the show in select cities across Canada from now through to June 19th, 2015. Tickets are on sale now and you don’t want to miss this show! In the live show, Dora is on a search for her lost teddy bear and she needs your help! This interactive show brings the audience right into the search with singing, music, map-reading, counting and more. This is a show your kids are sure to love. Check the Dora The Explorer Live website for a listing of show locations and dates. The tour started at the beginning of April and it’s been receiving great reviews. Both adults and kids love the interaction in the show. Having the characters interact with the audience is a great way to keep even the youngest kids engaged throughout the performance. Have you seen the show? Tell us about it on Twitter using the hashtag #DoraLiveCanada! 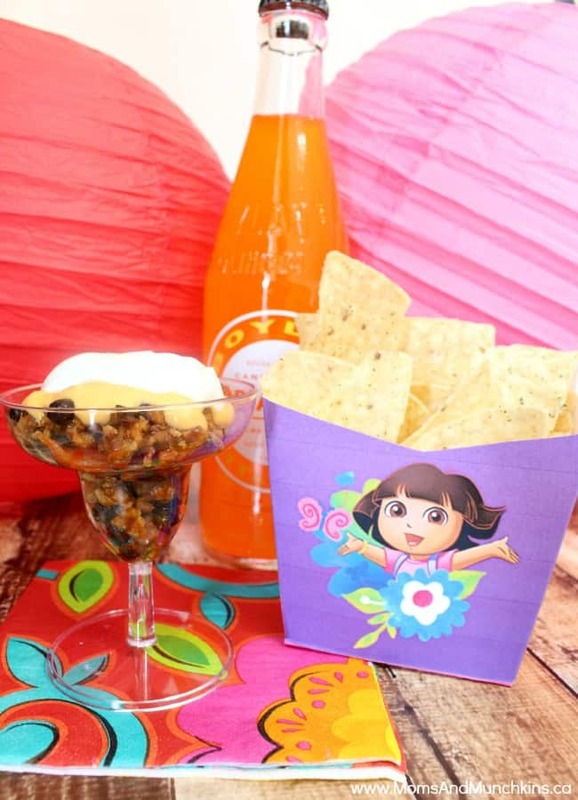 With Cinco de Mayo right around the corner, I’ve created a fun Dora the Explorer Cinco de Mayo Lunch! I put some Turkey Taco Dip in mini plastic margarita glasses with chips for dipping on the side. Simply print the free Dora Snack Box to go along with your tasty lunch. Super simple to create and it’s packed full of flavor! Planning a Dora-themed party? 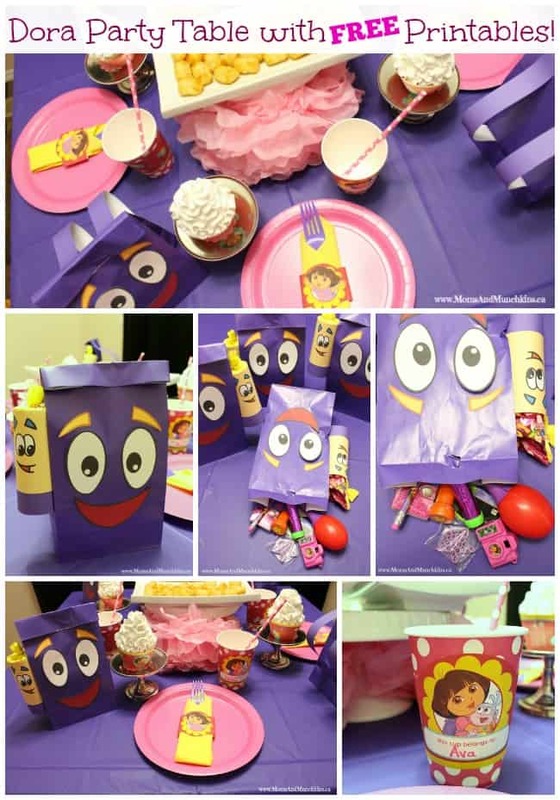 Be sure to check out our Dora Party Table with FREE printables! I absolutely love the backpack and map printables! A mini Dora dinner party would be a great way to surprise your kids with tickets to the show. Grab your tickets now and get ready for an afternoon of family fun! We’d love to hear what you thought of the show!